Where to get psychology assessment resources to put into my website? I'm not a psychologist and would like to know how to get a psychological assessment to put into my website? Is there a public assessment with question data and scoring logic? I'm sorry if the question is obvious to psychologists, and feel free to close the question. is there a public resource for psychological assessments, including questions, answers, scoring logic, and reporting? To be clear: I want to put an psychological assessment in my website to assess students for choosing a career path (e.g. 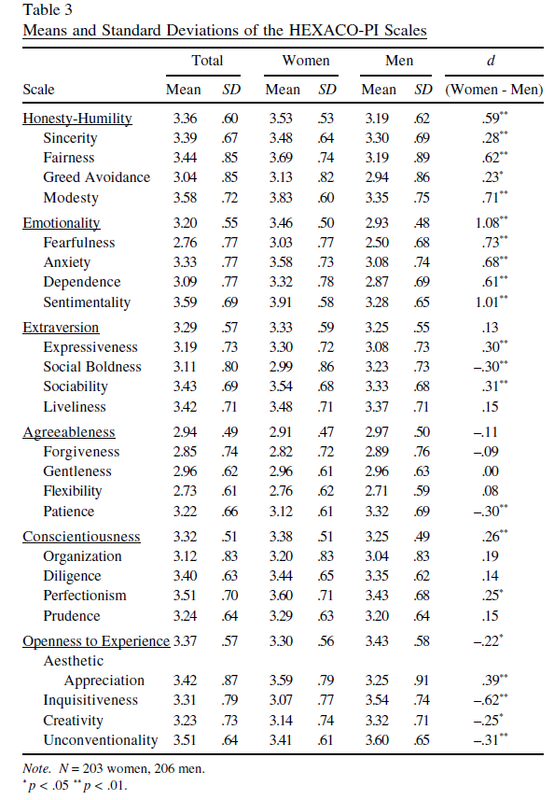 their personality model) one example is the IPIP Big-Five Factor Markers by OpenPsychometrics for the big five personality. I'm coming from a programming background, so I'll code the assessment myself. But to do it, I need the list of questions, answers, scoring functions, and reporting standard. The ones that I found have questions and answers, but I couldn't find the scoring logic and how to generate reports for such questionnaires. I'm asking if there are public questionnaires that can I take to put into my own website. There's nothing too deep about IPIP scoring. It just uses the standard Likert scale. For + keyed items, the response "Very Inaccurate" is assigned a value of 1, "Moderately Inaccurate" a value of 2, "Neither Inaccurate nor Accurate" a 3, "Moderately Accurate" a 4, and "Very Accurate" a value of 5. For - keyed items, the response "Very Inaccurate" is assigned a value of 5, "Moderately Inaccurate" a value of 4, "Neither Inaccurate nor Accurate" a 3, "Moderately Accurate" a 2, and "Very Accurate" a value of 1. Once numbers are assigned for all of the items in the scale, just sum all the values to obtain a total scale score. Am the life of the party. Talk to a lot of different people at parties. Don't mind being the center of attention. Don't like to draw attention to myself. Take time out for others. Make people feel at ease. Am not really interested in others. Am not interested in other people's problems. Feel little concern for others. If you want a facet-level test, which further subdivides each of the Big Five factors, look at their 120-question NEO PI-R; it has a similar key. They also have a HEXACO key, which adds a sixth main factor (also faceted). The IPIP master key page has a list of references in which you can find the publication for the specific test you are interested in. The initial IPIP test you mentioned/found (the 50-q one) is based on Goldberg's paper, but that one doesn't seem to contain either the IPIP-modified questions nor even population level means and standard deviations. (The population-based statistics are prone to change a bit if the questions are altered.) So if you pick a test like that you need to gather a sample of subjects first, have them complete the questionnaires, and then compute your own mean & variance distribution tables! Experimental psychology is (hard) work at times. Luckily, there's a newer paper, on the mini-IPIP (just 20 q's), (also has key available) which also reports that population data for the older 50-q test. N.B. : normally a percentile in the distribution would be reported to the user; see this math.SE question for the conversion from raw score to percentile in the normal distribution; basically use a Z-table. Not the answer you're looking for? Browse other questions tagged survey or ask your own question. Are presence questionnaires valid in a between-subjects design? How do you make psychology experiments? What software to use for psychology questionnaire?